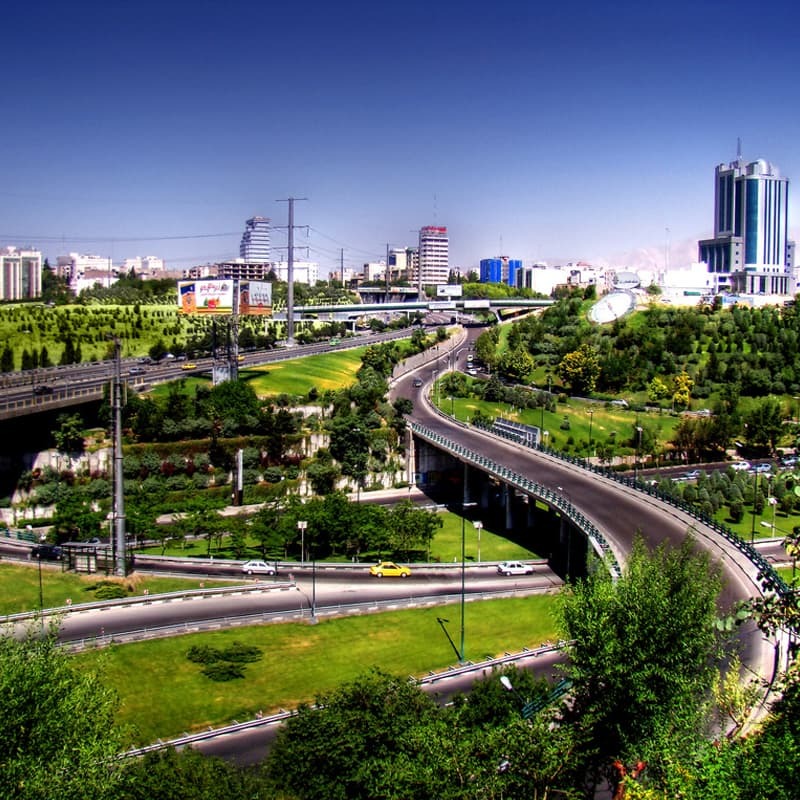 Tehran is the capital city of Iran and one of the most populated cities in the world. 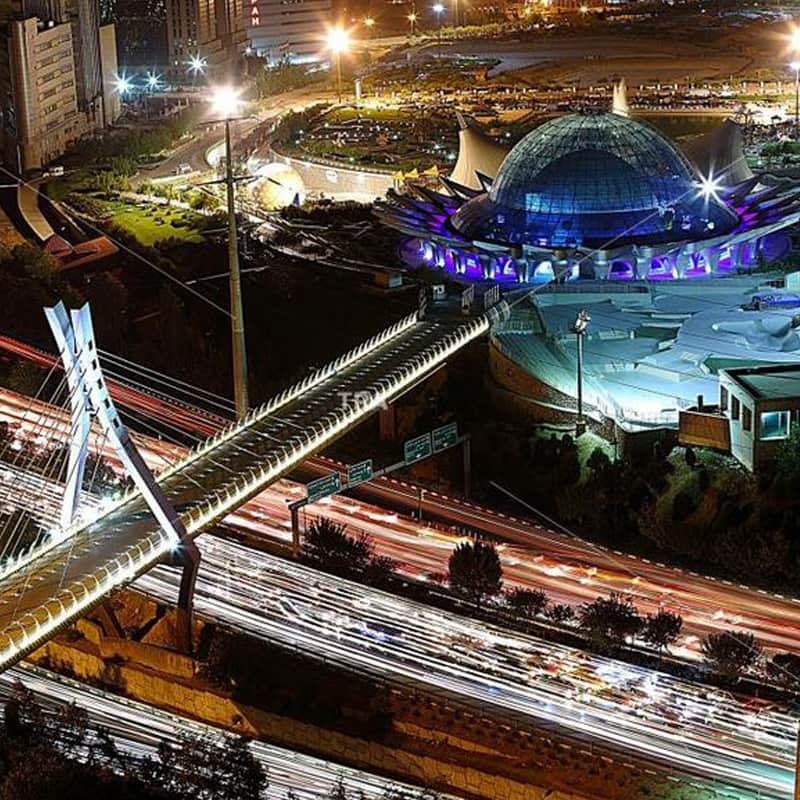 While traffic and air pollution have become major problems in recent years, Tehran remains one of the top tourist destination Iran and an important stop for many people on business trip Iran . Now that the government has adopted an Iran Visa on arrival program, traveling to Tehran is easier than ever. Tehran has been the political and cultural center of the country for many years. Visiting this metropolis is a must for those who travel to Iran. In order to avoid any unnecessary complications when you are in the city, make sure to be aware of banned things in Iran and what to wear in Iran as a tourist. Depending on the purpose of your journey, there are many things to do in Tehran. If you are on one of Iran sightseeing tours, you will have a great number of historical buildings and natural treasures to choose from. 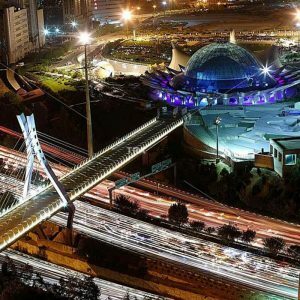 For those on a business trip to Iran, Tehran is an ideal place as the most important industrial center in the country where many business exhibitions are held every year. 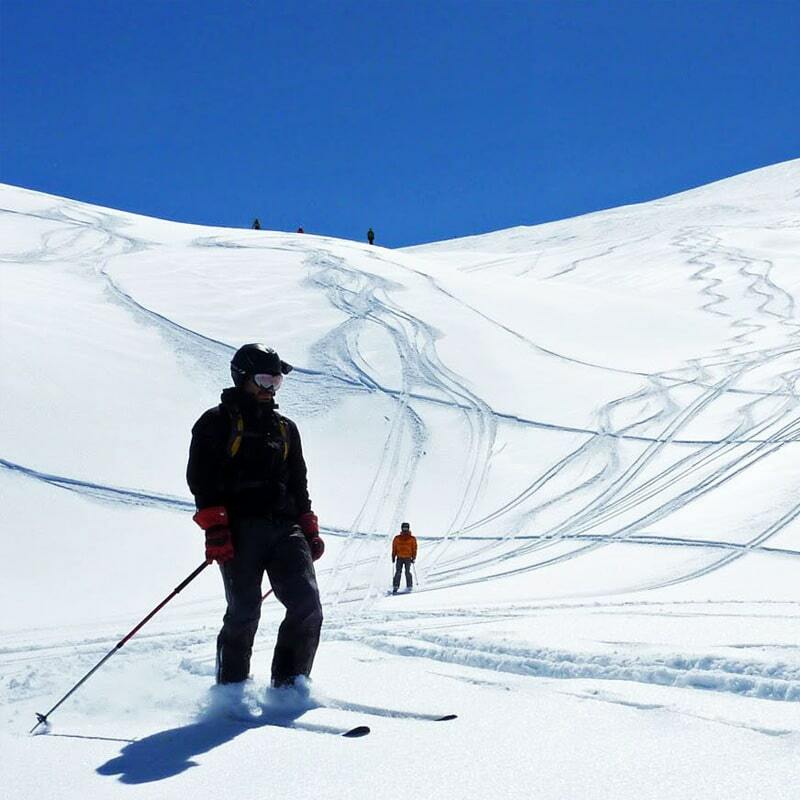 If you are looking for an adventure, Tehran is a popular destination for those on Iran ski tours . Furthermore, the many shopping centers in the city provide ample opportunity for those looking to buy a souvenir of Iran . 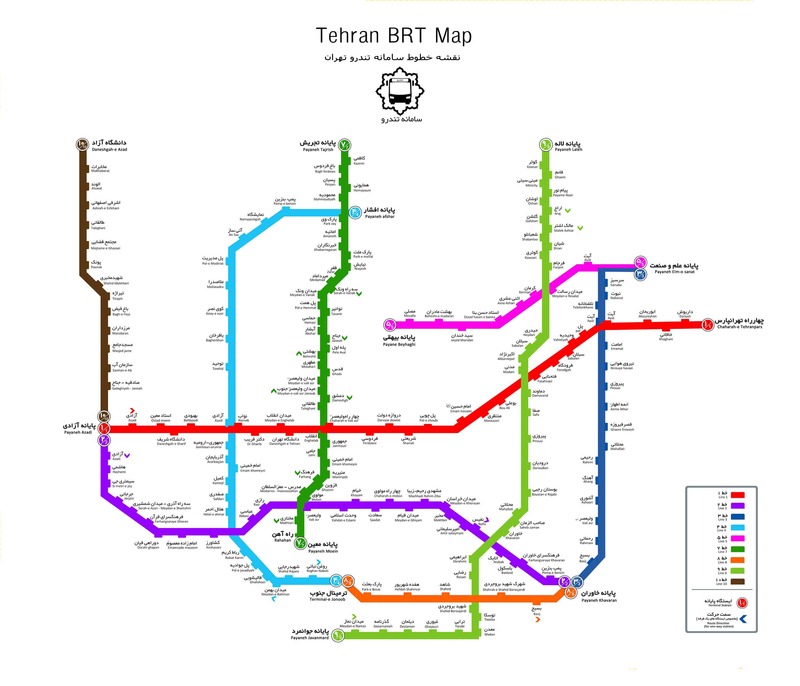 Tehran has the most extensive public transportation network in the country. Getting around the city on a bus is a viable choice despite the city’s notorious traffic problems, because there are special lines for buses in major routes throughout the city. You can refer to your Tehran travel guide for a Tehran bus map. Given the traffic problem in the city, which has intensified in recent years, using the metro is one of the best ways to get to your destination quickly. The metro network has been expanded significantly in recent years and there are stations near the most important destinations. 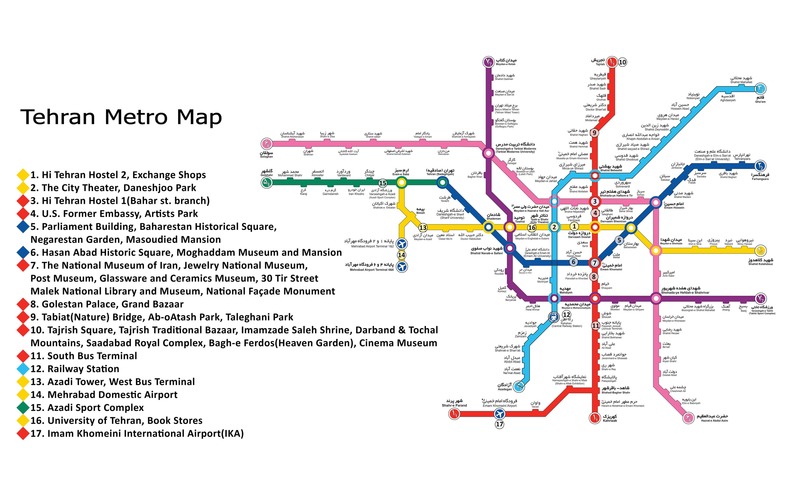 You can find a Tehran metro map in your Tehran travel guide. No matter what time of day or night it is, you can always find a taxi service in Tehran. There are many taxi stations all over the city. You can also call for taxi service in Tehran to pick you up wherever you are. 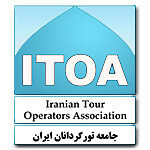 You can find taxi station locations and taxi service phone numbers in your Tehran travel guide. Taxi app in Tehran is one of the best ways of using a taxi service in the city. Using these apps usually means a faster pickup time. Furthermore, they tend to be much more affordable compared to regular taxis. You can find the apps and instructions on how to use them in your Tehran travel guide. There are many buildings with traditional Iranian architecture in Iran. Most of these buildings date back to Qajar and Pahlavi eras. If you are looking for something more modern, you have nothing to worry about, because some of the latest trends in modern architecture have been put to use in a number of buildings throughout the city as well. If you are more interested in the cultural side of things, you should know that Tehran is a tapestry of different cultures all of which are worth investigating and knowing. 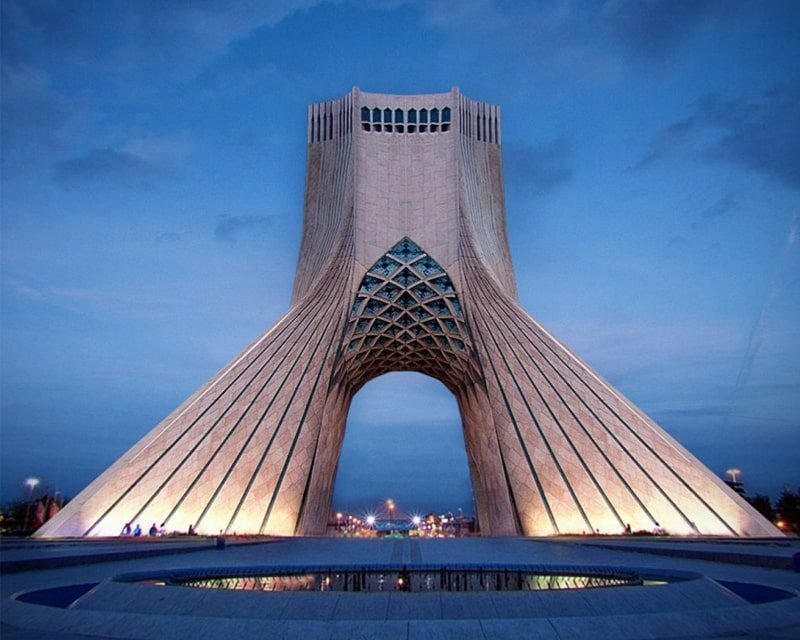 There are tailor made tours Iran covering these and many other aspects of Tehran City. 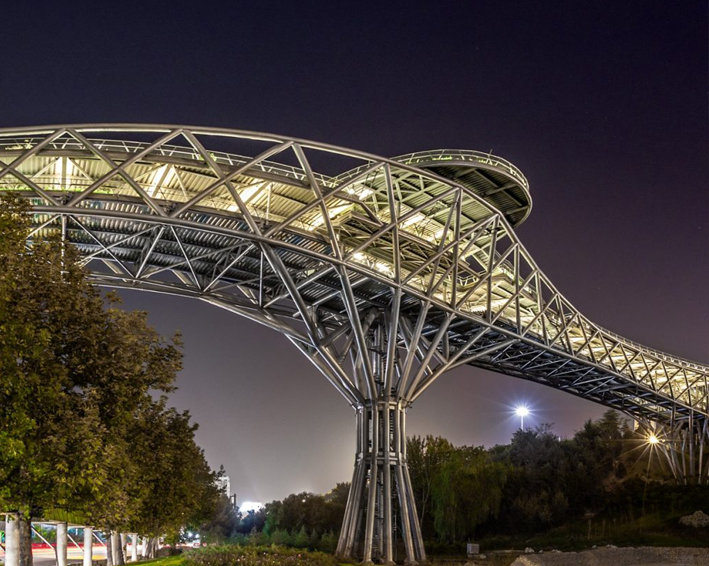 One of the latest additions to the city’s long list of landmarks, Tabiat Pedestrian Bridge in Tehran was opened in 2014. 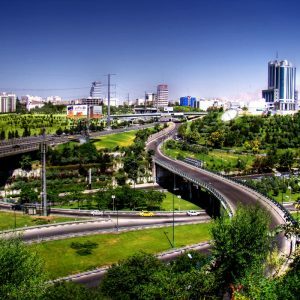 Located on Modares Highway, it connects two of the city’s biggest parks together: Taleghani park on the east and Ab-o-Atash Park on the west. It is one of the most popular promenades in the city. 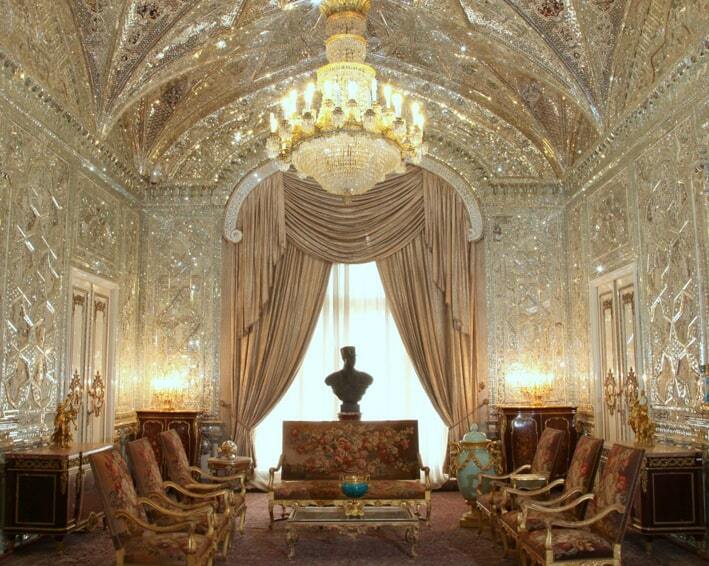 The national jewelry treasury in Tehran is a collection of jewelry which is kept at the Central Bank of Iran. The actual value of this collection has not been estimated yet, but given their historical significance, it is among the most valuable in the world. 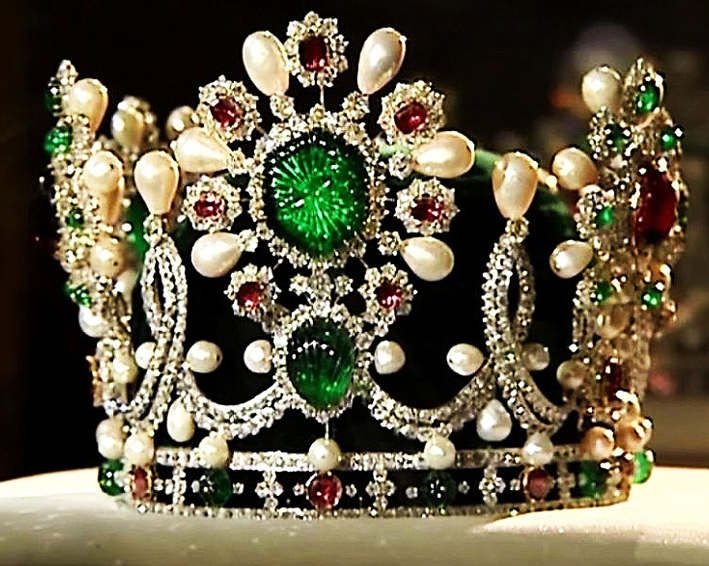 Among the most famous pieces kept at the treasury is Daria-i-Noor, which is one of the largest cut diamonds in the world. 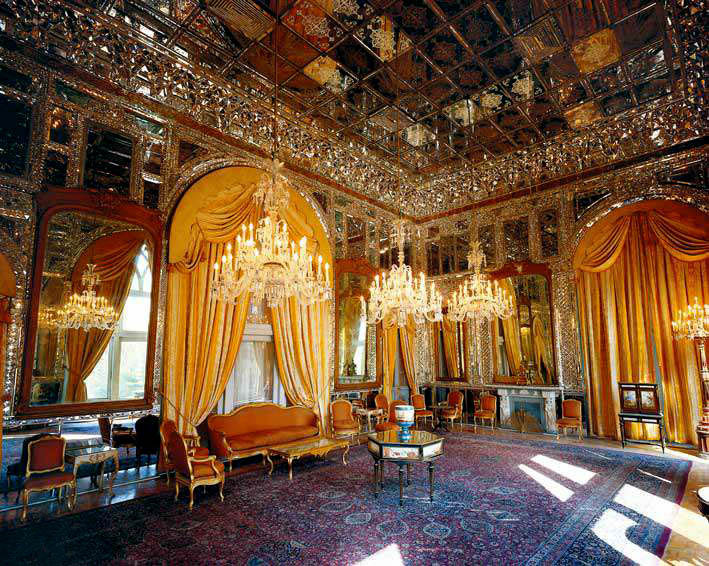 Tehran Golestan Palace is a UNESCO World Heritage Site in Tehran. It is over four hundred years old and its first foundations date back to the Safavid era. It has been renovated and further developed throughout its long history, with major additions and changes, especially in the Qajar era during the reign of Naser al-Din Shah when he ordered many changes in the complex following a trip to Europe. In addition to beautiful buildings with exquisite stucco, stained-glass and prism mirror decorations, the complex is home to many fine paintings from Iranian and foreign masters. 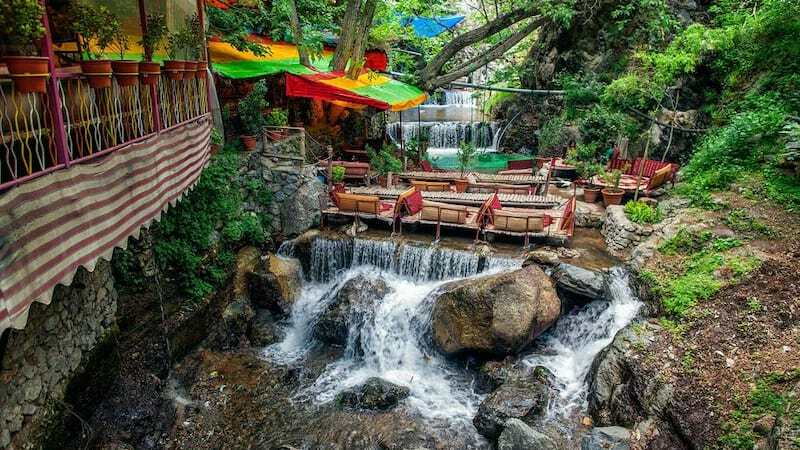 Today, it is one of the most popular tourist attractions in Tehran. The National Museum of Iran in Tehran is the oldest and most important museum in the country. It consists of two separate buildings, one dedicated to the pre-Islamic era in Iran and the other to the Islamic era. 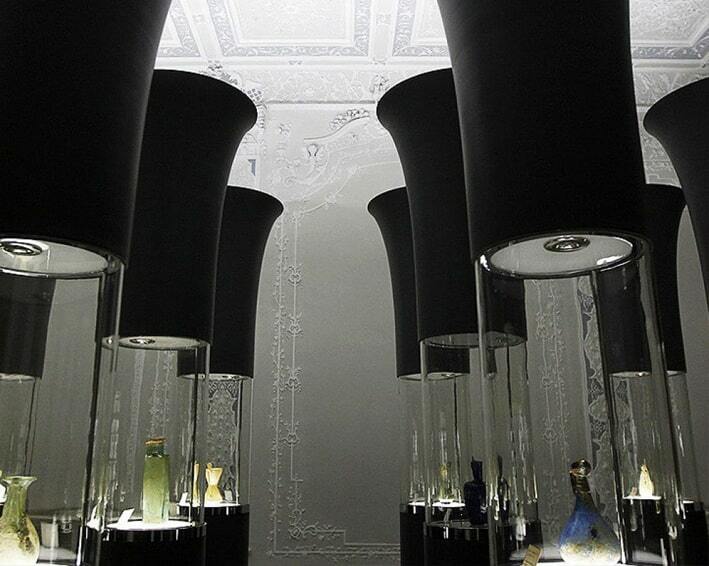 Artifacts dating from the Paleolithic period all the way to the Qajar era are kept in this museum. The mummified head and leg of a 1700-year-old aristocrat from the Sasanid era, known as Saltman, the Egyptian statue of Darius the Great, and the bronze statue of a Parthian nobleman are among the most famous objects in the museum. Located on the northern part of the city, Saad Abad Palace Tehran Iran is actually a complex of buildings consisting of eighteen mansions, a wood, springs, and gardens. It was built during the Qajar Dynasty and has remained in use since then. Today, the complex has been turned into a museum and some parts of it are used for the accommodation of the foreign dignitaries. Housed in a historical building dating back to the Qajar era, Abgineh Museum boasts a unique collection of artifacts, some of which are over thirty centuries old. One of the most conspicuous features of the museum is its interior design, which is influenced by Persepolis’ architecture. Abgineh Museum is one of the most popular tourist attractions in Tehran with over two million visitors each year. Reza Abbasi Museum Tehran holds one of the most important historical collections in Iran. 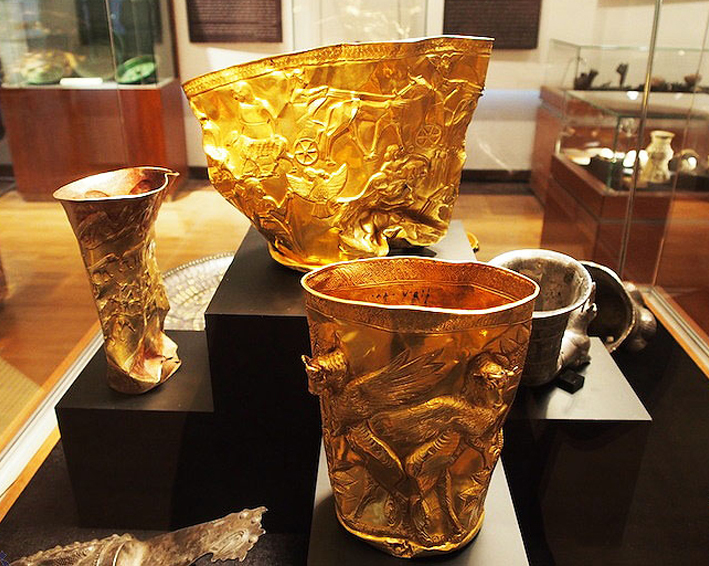 This collection provides a great opportunity for visitors to follow the progress of civilization in Iran. 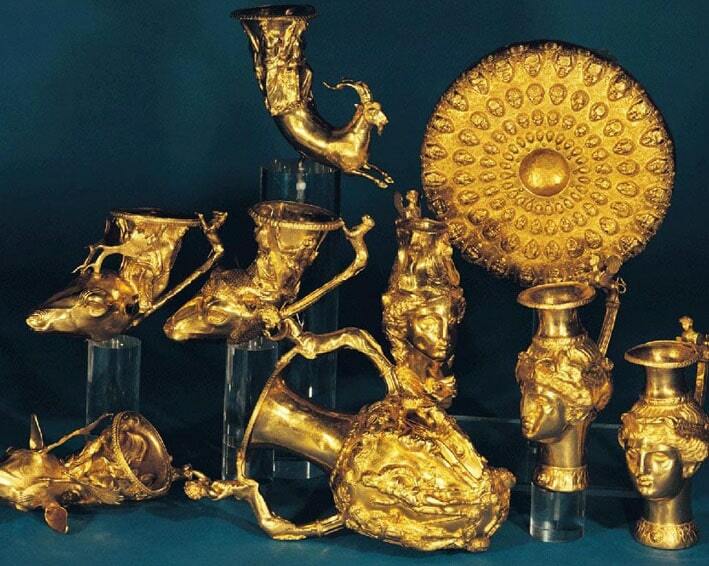 The artifacts kept at the museum cover a range of over four thousand years. Each section of the museum is dedicated to a particular historical era or specific arts such as calligraphy and painting. 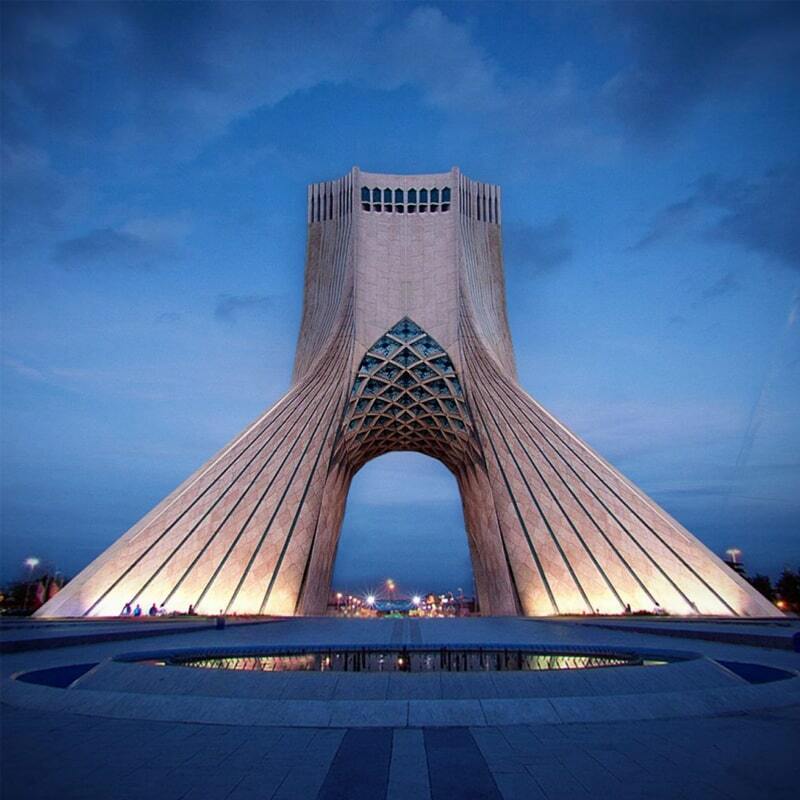 Azadi Tower (Tehran Freedom Monument) was built in the mid-60s to commemorate the 2500th anniversary of the reign of the kings in Iran. It is located in Tehran’s biggest square. 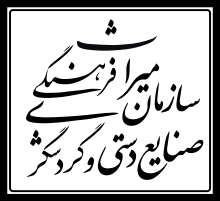 Today, it has become one of the most recognizable symbols of Iran. It has been the scene for many historic gatherings and demonstrations since its opening. Opening Hours: Sun-Thu: 9:00 AM - 8:15 PM Fri: 7:10Am-8:35Pm Saturday is closed. 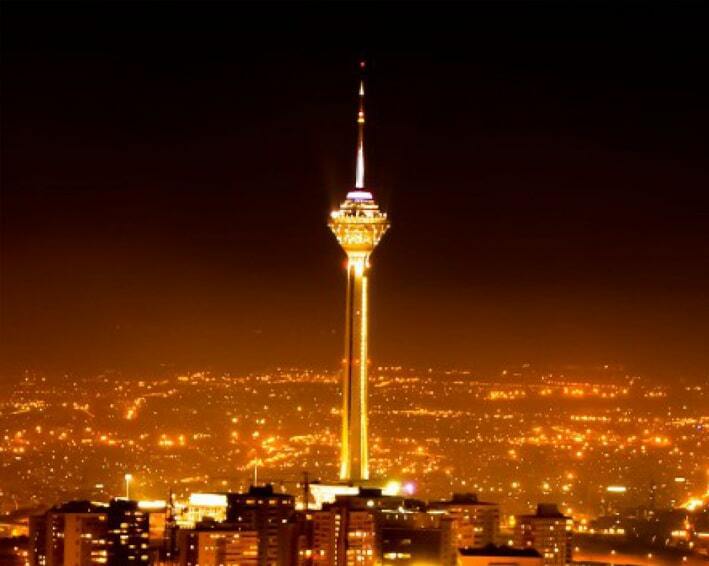 Officially opened in 2008, Milad Tower is the tallest building in Iran and one of the tallest towers in the world. 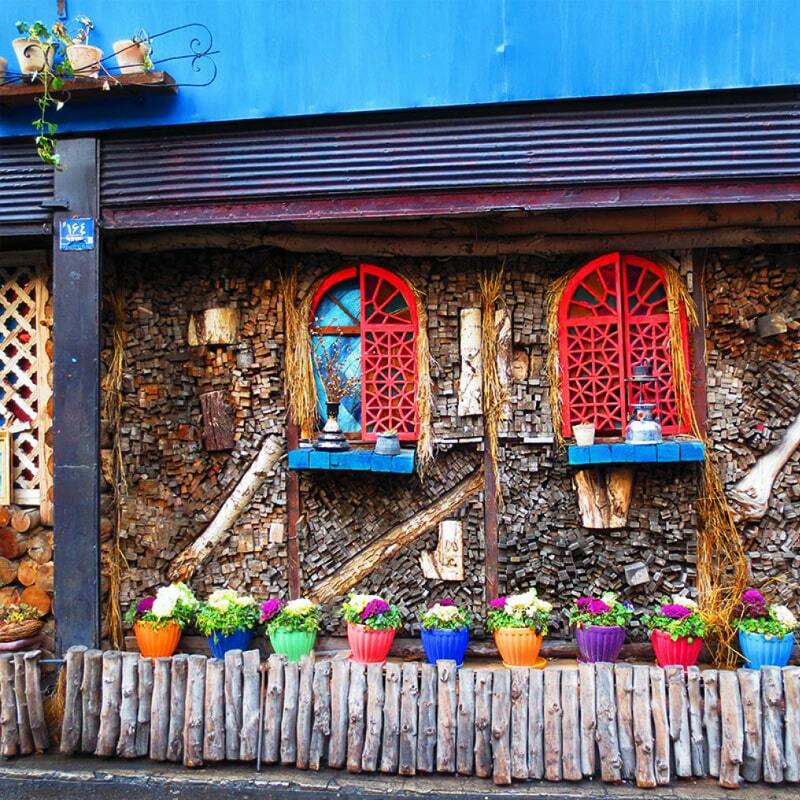 It is located on the northwestern part of Tehran and is visible all over the city. It is mainly used as a communications tower, but also includes other facilities such as a dolphinarium, a rotating restaurant, an international convention center, a cinema, two museums, and an observation deck. If you are looking to spend some leisure time in Tehran, you have many options. Spending some relaxing time in one of the city’s many parks, visiting art galleries, sightseeing, shopping, going to restaurants, hiking in the mountains, and skiing in winter are just some of the activities you can spend your time on when you are in Tehran. To find more answers to the question what you can do in Tehran, refer to your Tehran travel guide. Located on the northern side of Tehran, Tochal Ski Resort & Complex Tehran Province is a collection of recreational and sports facilities. A gondola lift, a ski resort, and a hotel are among the facilities at the complex that the visitors can enjoy. At 7.5 km, the gondola lift route at Tochal is among the longest in the world. At 3850 meters, Tochal Ski Resort is the seventh highest in the world. Tochal Ski Resort & Complex Tehran Province is one of the best places for those on Iran ski tours to spend their wintry holidays. Dizin Ski Resort Tehran is the most important ski resort in the Middle East. 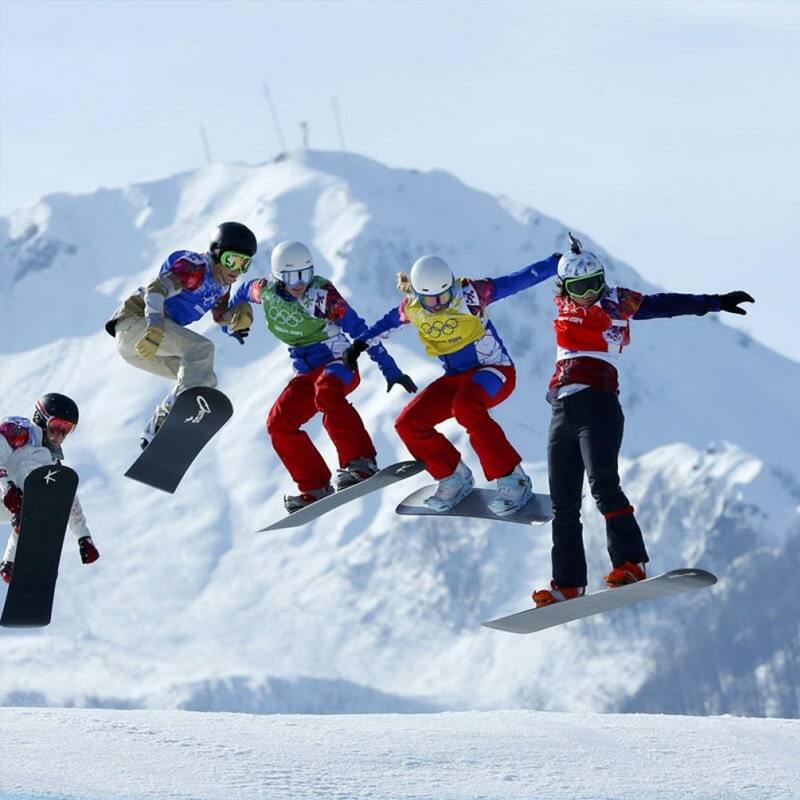 It is the first Iranian ski resort certificated to hold international competitions. The complex consists of twenty-three ski tracks, two hotels, nineteen lodges, and five restaurants. The resort remains open even during the summer months when the grass skiing tracks are in use by athletes and other enthusiasts. 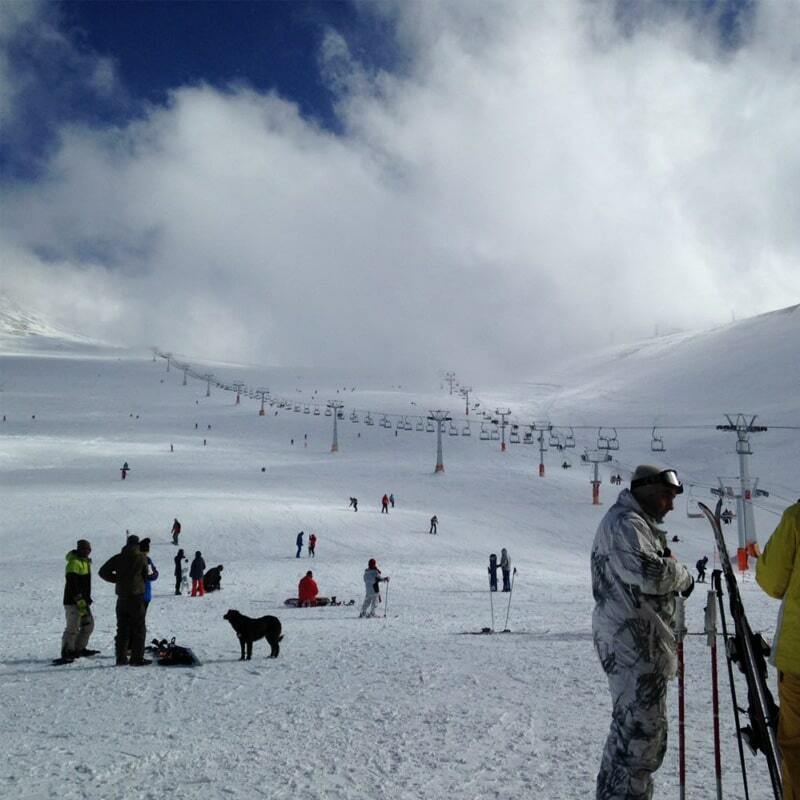 Dizin Ski Resort Tehran is an essential stop for those on Iran ski tours. If you are looking for something to take you away from the hustle and bustle of the city, you should try Darakeh mountain hiking. Darakeh is located on the northern side Tehran. It has delightful clean weather, which can be a blessing for those who are tired of the city’s constant noise, traffic, and air pollution. 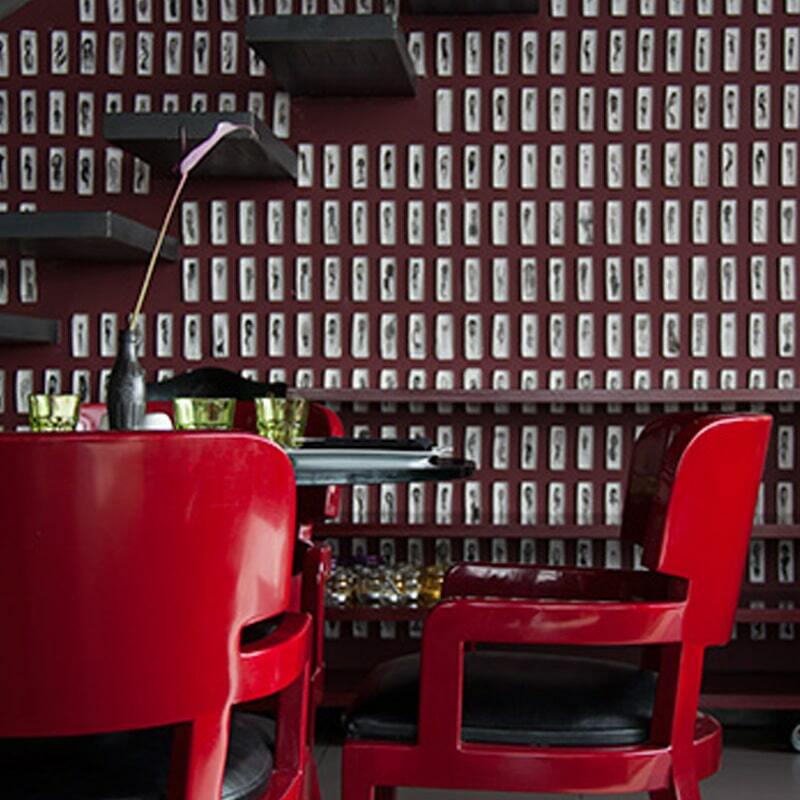 You can find many restaurants in the neighborhood, most of which serve traditional Iranian food. 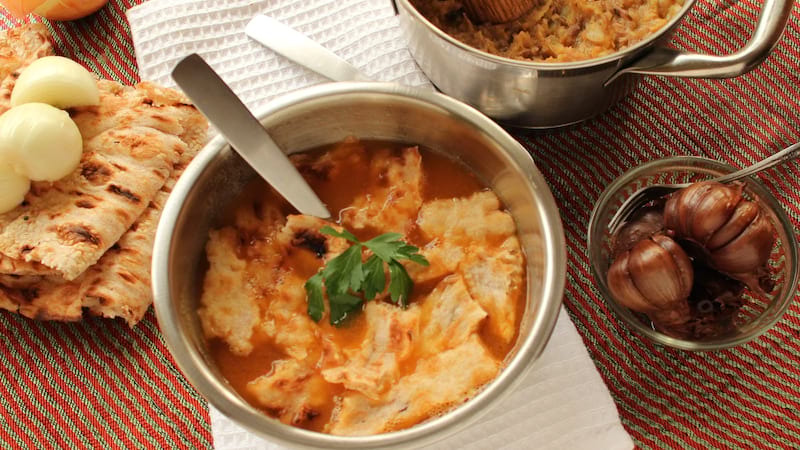 You will have the chance to familiarize yourself with Iranian eating habits while enjoying your hike. 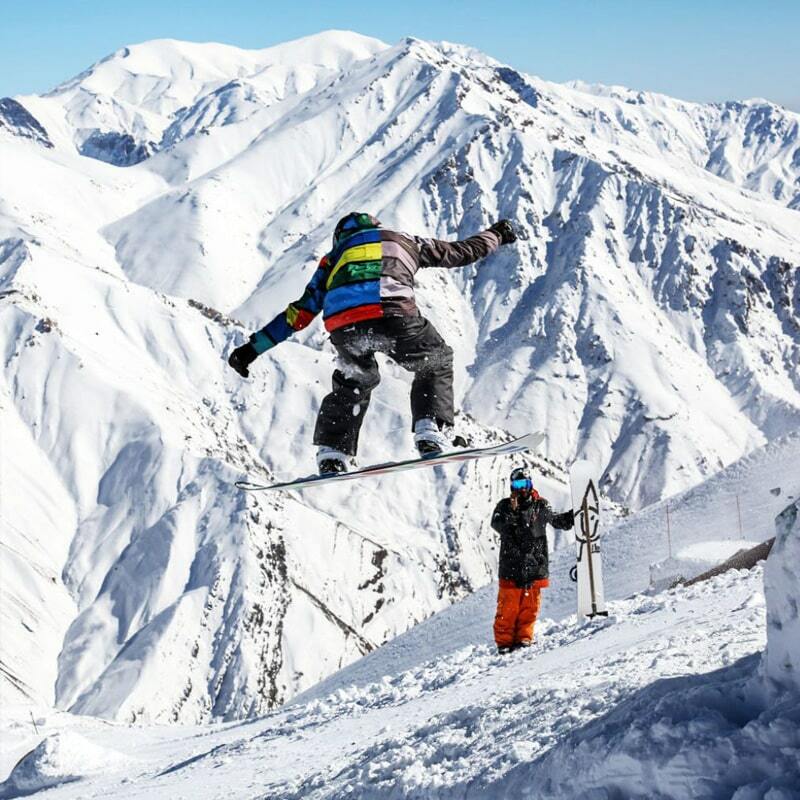 Located on the northeastern part of Tehran province, Shemshak Ski Resort & Complex Tehran Province Iran is one of the popular destinations for skiing around Tehran. In addition to ski tracks, the complex includes two hotels and four restaurants. The tracks are equipped with appropriate lighting, which means you can keep skiing even after sunset. The newest addition to the number of ski resorts around Tehran, Darband Sar Ski Resort Tehran Province is also one of the best equipped among them. Lighting for night skiing, two restaurants, and a training center are among the facilities available at the resort. While the first foundations of Tehran Grand Bazaar were made during the Safavid and Zand eras, it was during the Qajar era that it was further developed to its current state. Beyn al-Harameyn, Amir Bazaar, and Kafashha Bazaar were added to the complex during the Qajar era. Other parts of the bazaar complex are Abas Abad, Zargarha, Zeyd, and Najarha. 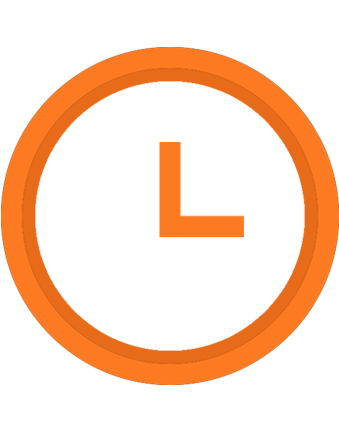 Each of these parts is dedicated to a specific type of business or craft. 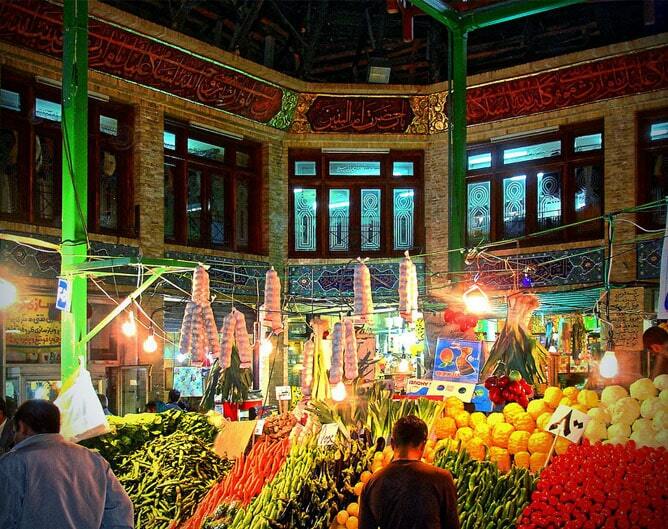 Today, Tehran Grand Bazaar is the center of commerce not only of the city of Tehran but the entire country. Many wholesale and retail businesses have branches here. It is where most of the important business transactions are conducted and where prices are set for entire markets. Furthermore, as one of the liveliest parts of Tehran, it is an ideal place to mingle with people and observe their customs and ways of life. 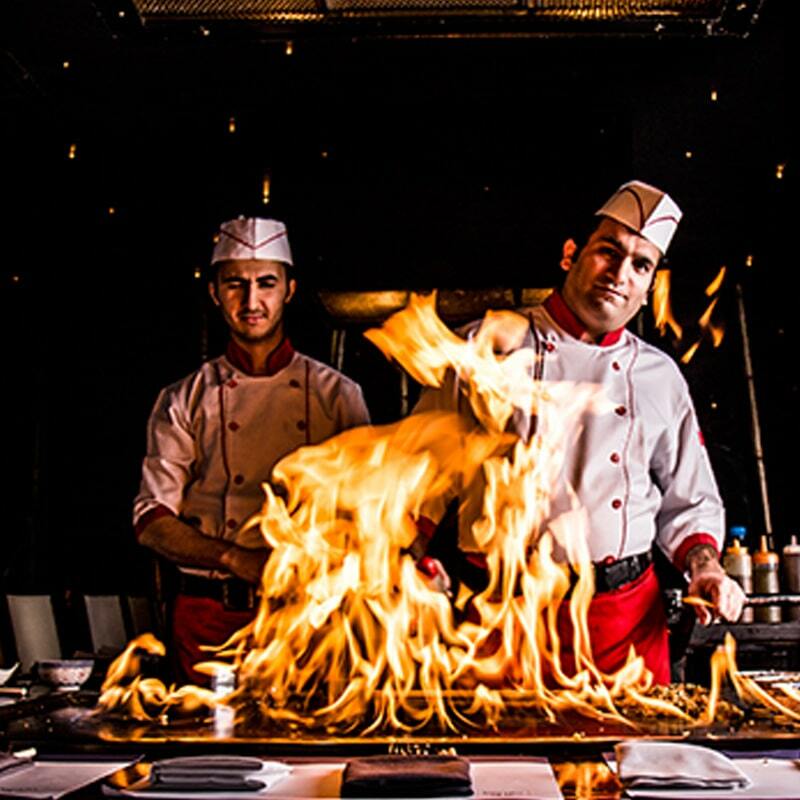 You can find all types of food in the best restaurants in Tehran. 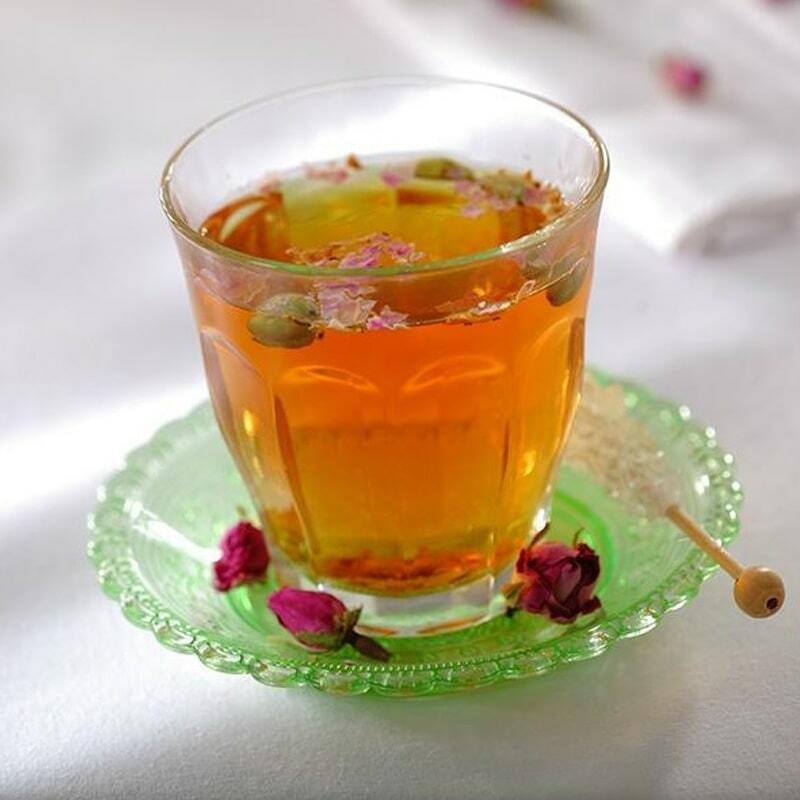 While traditional Iranian food is, of course, the main focus of many of these restaurants, you will not have any trouble finding all kinds of top-quality international dishes in them either. 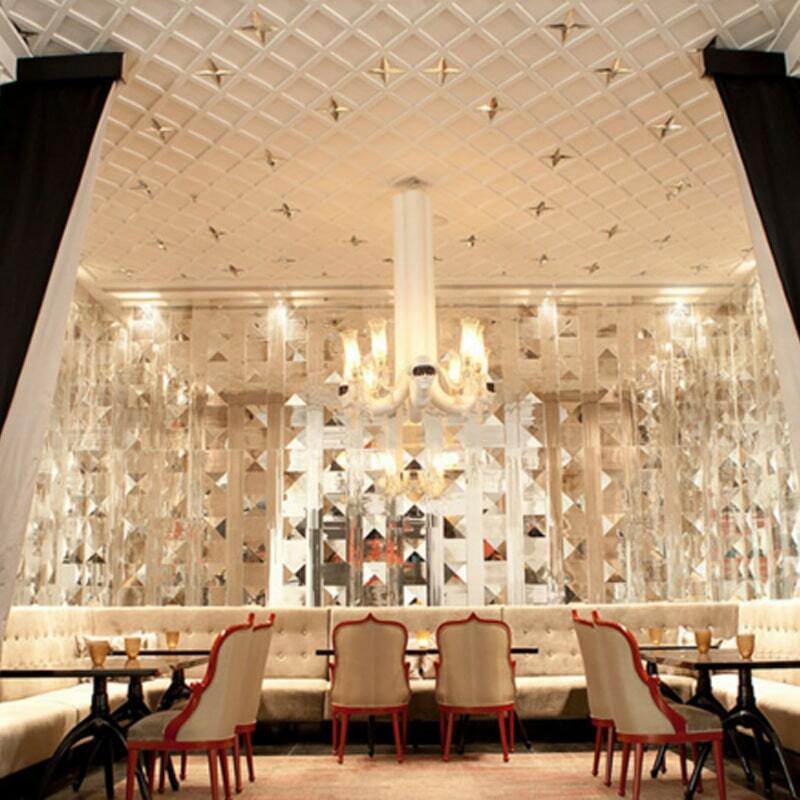 Parkway, Kenzo, Divan, Kakh, and Shandiz are just some of these well-known establishments. You can find many more in your Tehran travel guide. 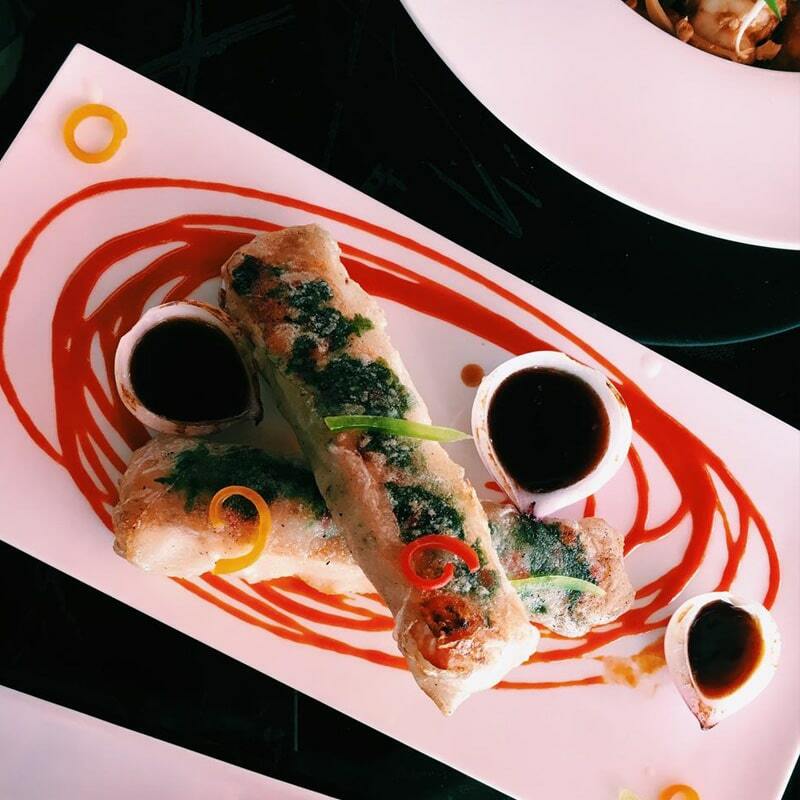 Located in the northeastern part of the city, Parkway restaurant is known for its high-quality food and service. 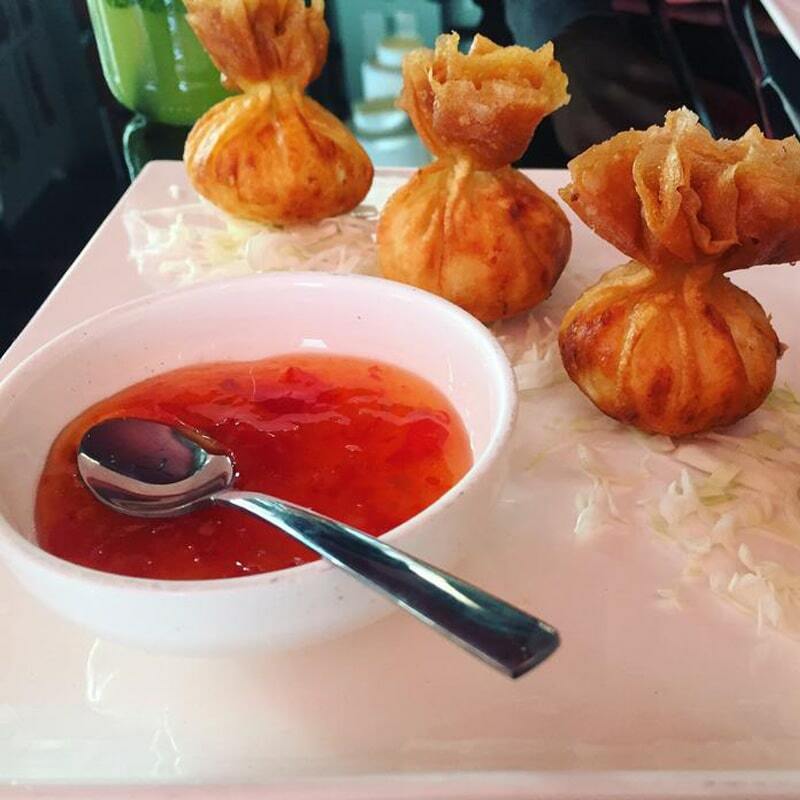 Its menu mainly consists of international dishes. 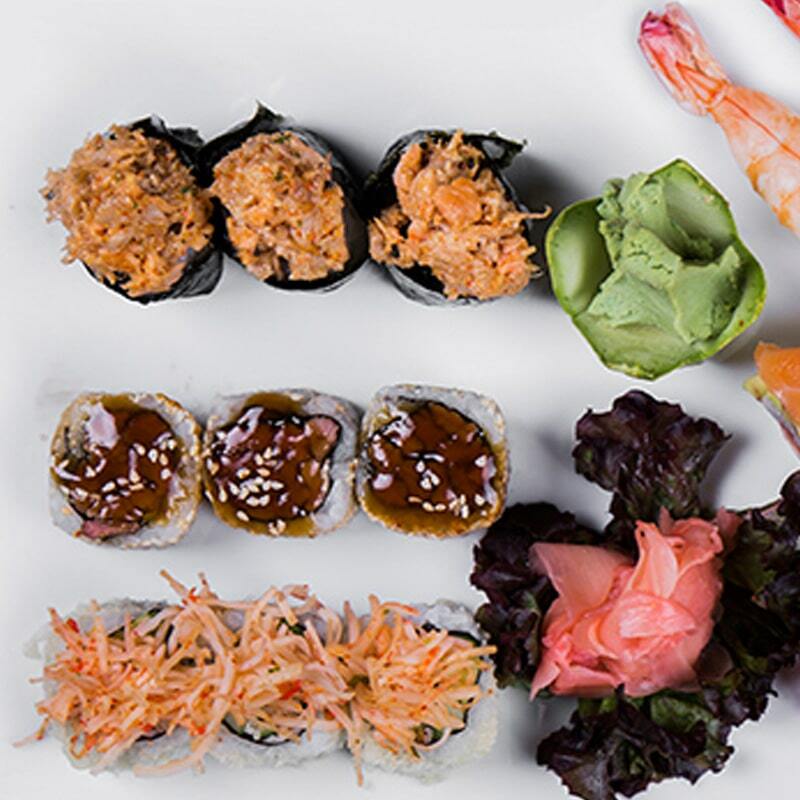 Many guests come from all over the city to enjoy its East Asian cuisine. 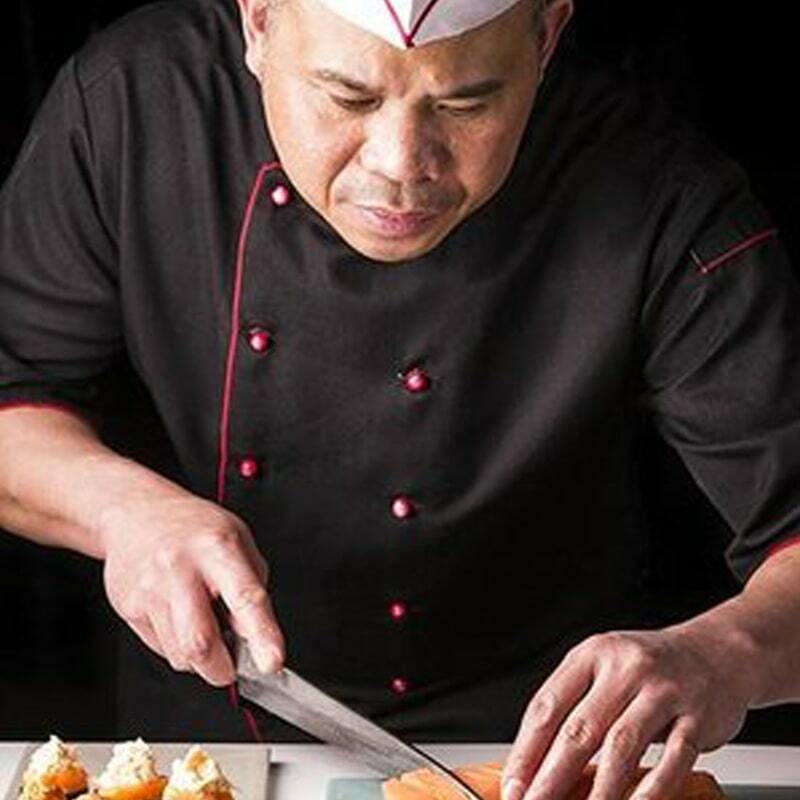 One of the most famous restaurants in Tehran, Kenzo restaurant’s specialty is Japanese food. 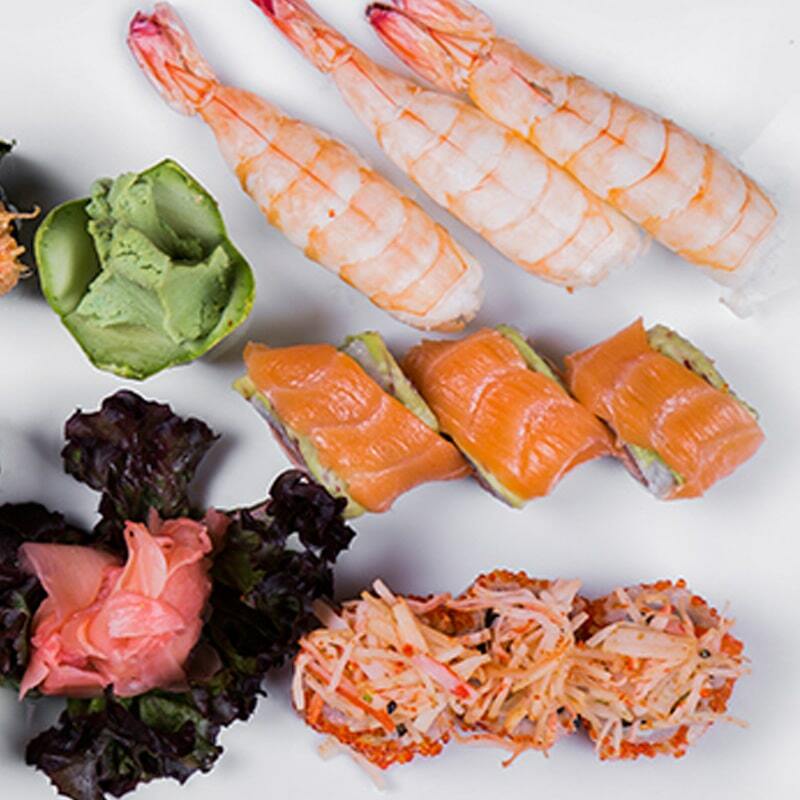 You can find sushi and other Japanese cuisines with the best quality at this establishment which is located on the northern part of the city. 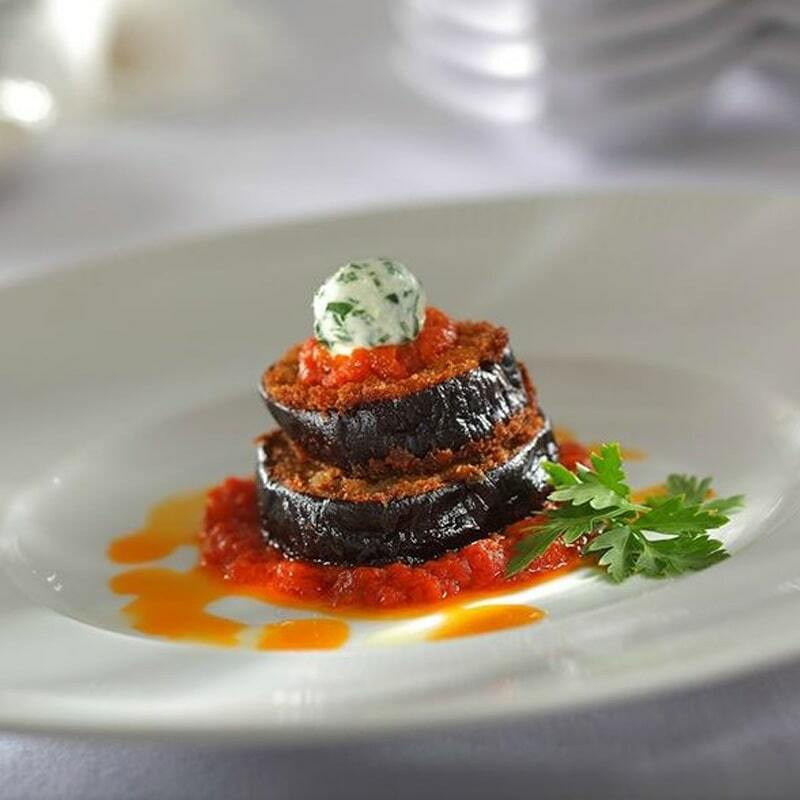 If you are looking to get a taste of Iranian food, Divan restaurant is one of your best options. 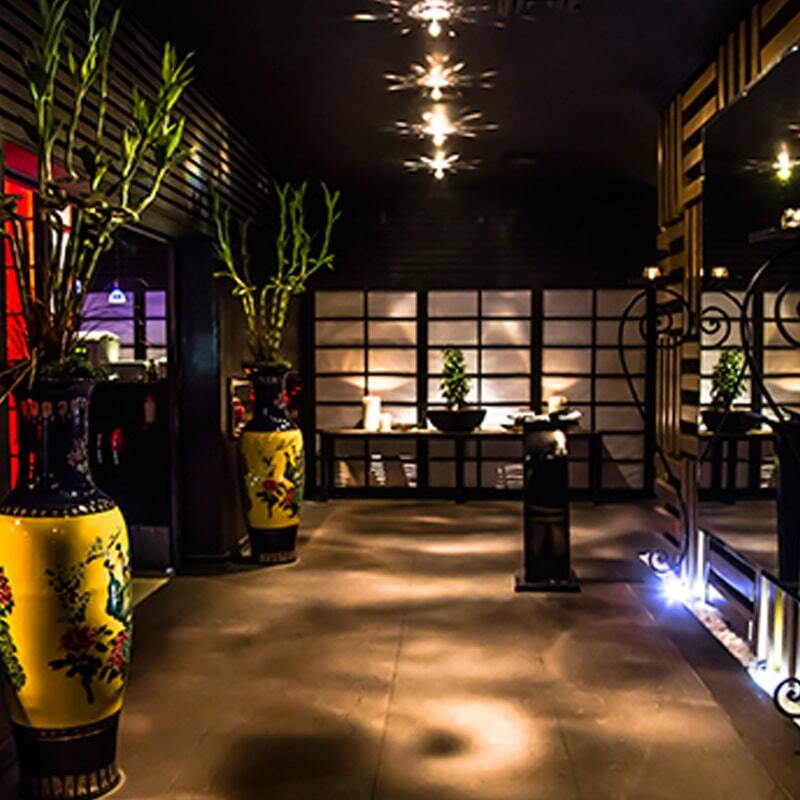 Located in the northern part of Tehran, Divan restaurant complements its delicious food with great service and beautiful interior design. Tehran is without doubt the biggest commercial center in Iran, and as such, there are many shopping malls in Tehran. Depending on your budget and the kind of goods you are looking for, you can choose from dozens of malls and shopping centers throughout the city. 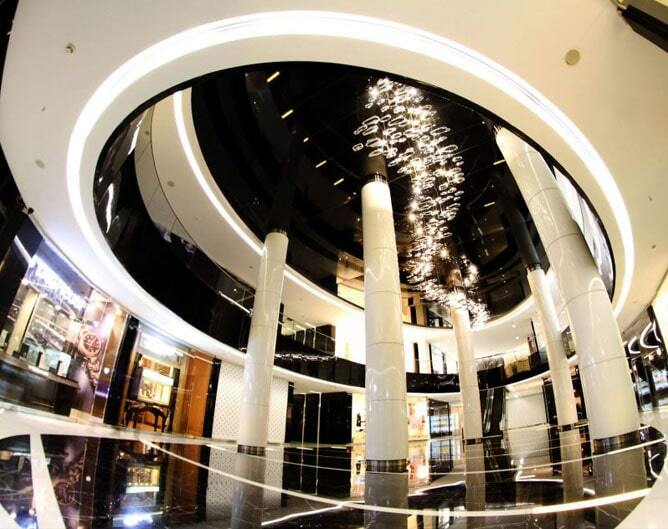 Located in the northern part of the city, Paladium Shopping Center is one of the most luxurious malls in Tehran. In addition to over 150 stores and offices, the building includes over two dozen restaurants and coffee shops, a gym, a pool, and a spacious parking lot. Modern Elahieh Complex Tehran is 11-story building located in the northern part of Tehran. Some of the most recognizable fashion brands have branches in this shopping center. In addition to stores, there are luxury restaurants and coffee shops in the building as well as a parking lot. 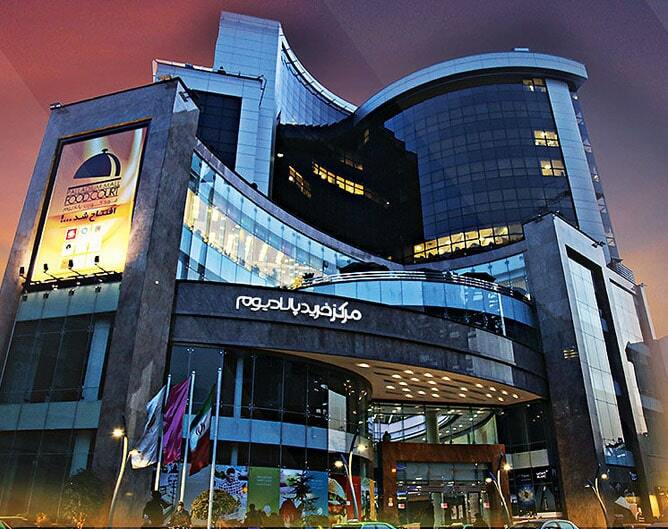 One of the biggest shopping centers in Tehran, Koroosh Complex has over five hundred stores. 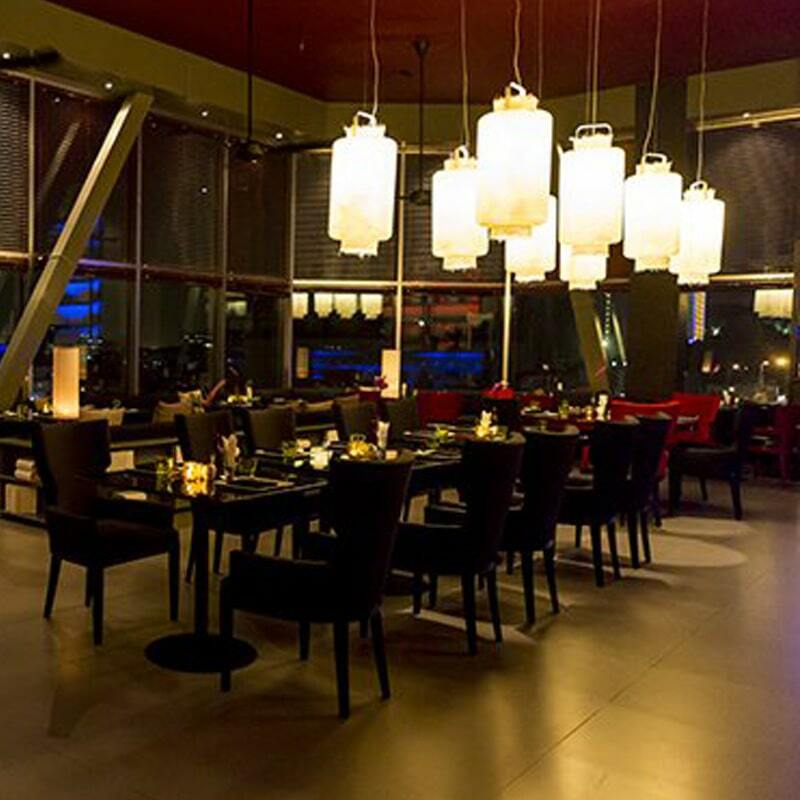 You can also find restaurants, coffee shops, twelve movie theaters, and an indoor amusement park in Koroosh Complex. 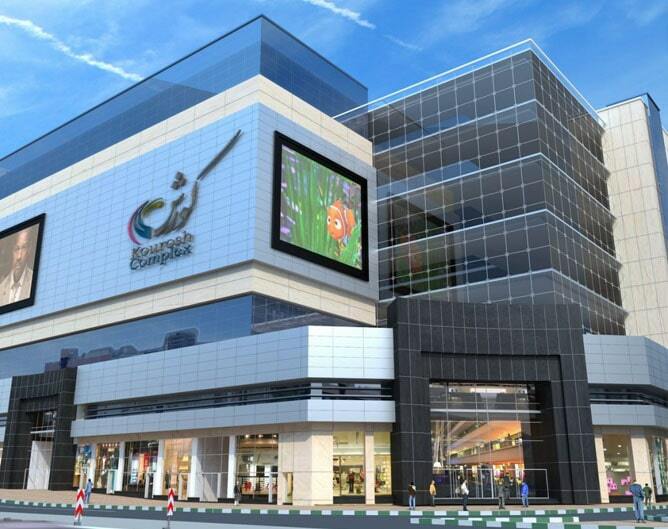 Sam Commercial Complex Tehran is one of the most recent additions to the city’s great number of shopping malls. In addition to the many stores in the complex, you can find luxurious restaurants, a coffee shop, and a food court in Sam Commercial Complex Tehran. 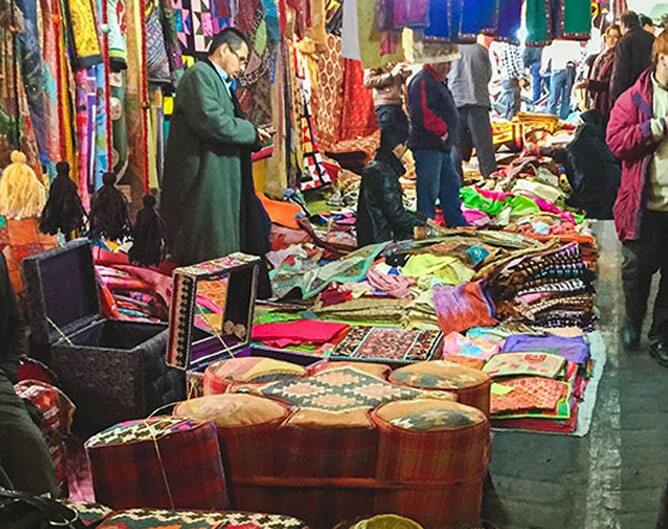 Friday Bazaar Tehran is a gathering of artists, masters of handicraft, and antique dealers. Held each week in a three-story parking lot at the heart of Tehran, Friday Bazaar Tehran provides a unique atmosphere for the shoppers, which is definitely worth experiencing. 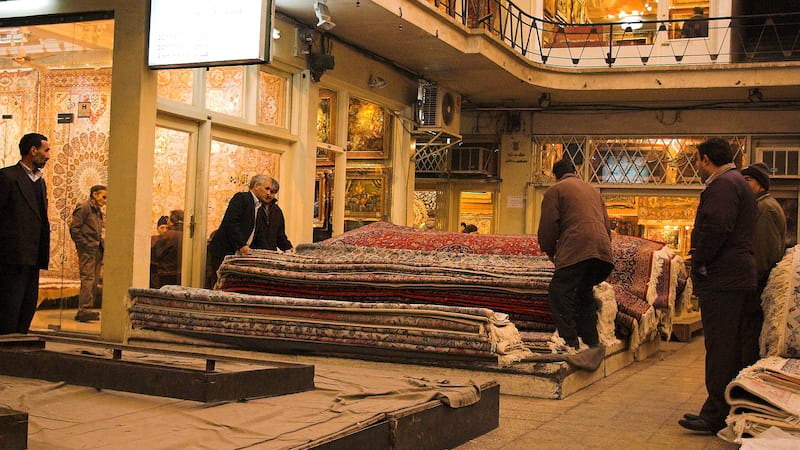 Tajrish Bazaar Tehran Province Tehran is one of the old bazaars of the city. 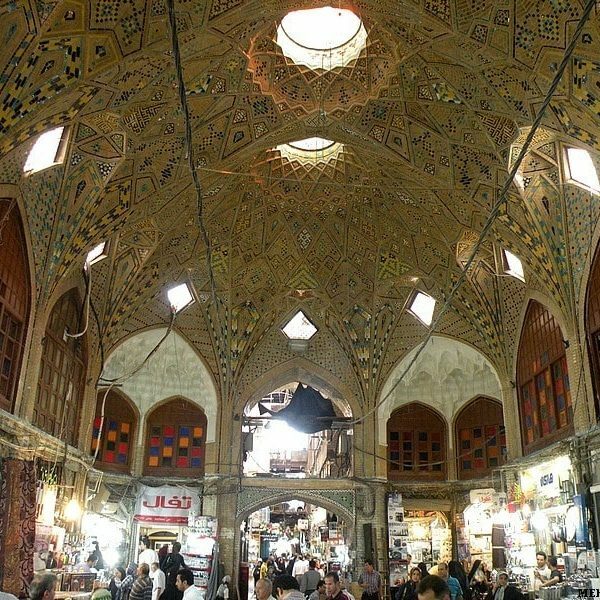 While it is not comparable in size to Tehran Grand Bazaar, it is still a good choice for shoppers looking for a traditional atmosphere in one of the oldest neighborhoods of the city. While the first foundations of Tehran Grand Bazaar were made during the Safavid and Zand eras, it was during the Qajar era that it was further developed to its current state. 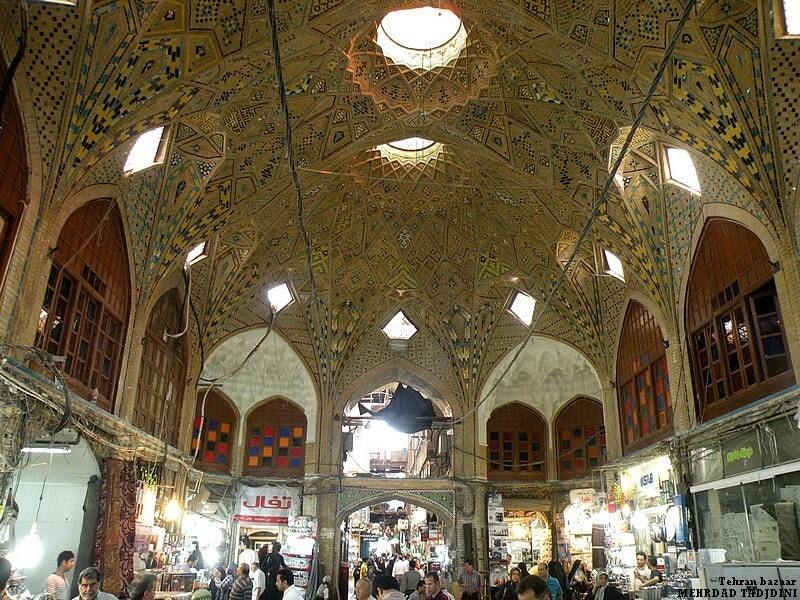 Today, Tehran Grand Bazaar is center of commerce not only of the city of Tehran but the entire country. Many wholesale and retail businesses have branches here. It is where most of the important business transactions are conducted and where prices are set for entire markets. As the capital city of Iran and its undisputed business and commercial center, Tehran is host to many visitors each day. All types of hotels can be found in this metropolis. Some of the most luxurious ones are Espinas Palace Hotel, Parsian Azadi Hotel, Parsian Estheghlal Hotel, and Novotel Hotel. For those on a budget, Balut Hotel, Varzesh Hotel, and Tehran Dorsa Hotel can be recommended. 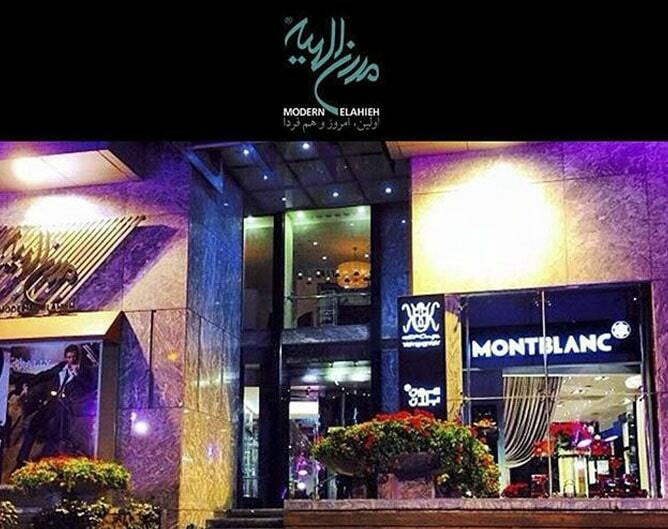 To find the contact information of these and many other hotels, please refer to your Tehran travel guide. One of the busiest airports in the country, Mehrabad Airport is the Tehran airport domestic flights. The airport has been in service for almost a decade, and today, over sixteen million passengers pass through it each year. Most of the flights in this airport are domestic ones, but a few international flights use the airport as well. While there are two Tehran international airports, most of the incoming and outgoing foreign flights use Imam Khomeini International Airport. This modern airport provides services to around one-hundred-fifty million passengers each year.